Brought to fruition under the project management of Master Yachts, the Owner’s Representatives, the spectacular new 85 meter sailing yacht AQUIJO is the world’s largest high-performance ketch and marks Vitters Shipyard’s and Oceanco’s first delivery in 2016. Both yards worked closely together throughout all stages of this custom project. Built under the project name P85/3069/Y711, this extraordinary sailing yacht’s naval architecture and exterior design is by Tripp Design Naval Architecture with the interior design by Dölker + Voges. AQUIJO is a ground-breaking sailing superyacht that integrates outstanding sailing performance, state-of-the-art technology and reliability, with exceptional space, comfort and luxury—a combination rarely found on sailing yachts. The superstructure is designed to blur the boundaries between inside social spaces and outside deck areas, and offers long clear sight lines throughout. Her stunning interior is clean, contemporary and modern. Performing well at all points of sail and benefitting from exhaustive engineering and superior craftsmanship, there is no question that AQUIJO is a real sailing yacht. Her unique steering system, developed by Vitters Shipyard, translates the hydrodynamic forces of the underwater rudder blades directly to the flybridge steering wheels, providing the helmsman with immediate feedback and acute sensitivity to the feel of the boat, allowing him to experience the pleasure of sailing the yacht to its maximum potential. 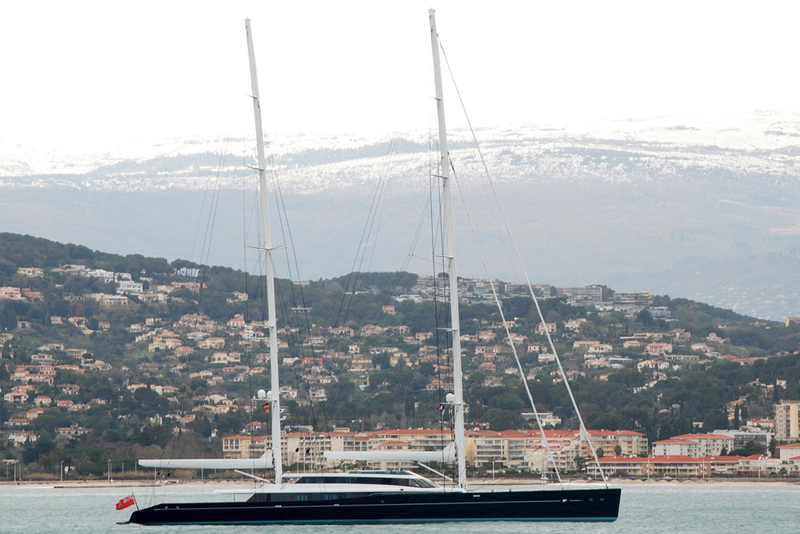 Her 90-meter masts are two of the tallest masts in the world. Her performance sail plan is set up to be safe, reliable and simple to handle. AQUIJO pioneers new territory on multiple fronts; she is an astonishing sight to behold as she sets off to sail the world’s oceans.